Mobile phones. The world is addicted. Life as we know it has ceased to exist. Nobody even has time to stop and smell the roses anymore. And now you don’t even have to, because thanks to these colorful mobile phone cases you can carry the flowers with you wherever you go! 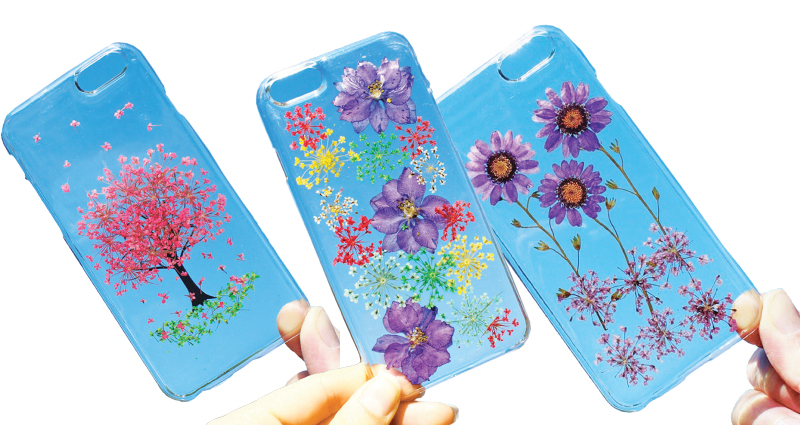 The cases, which are made by HouseOfBlings and are available on Etsy, contain real pressed flowers and come in a variety of vibrant designs. Some of them look like bouquets, others looks like trees, but all of them look as fresh as a daisy and they’re sure to make other people reconsider how their own phones look. Because after all, what’s the point in a mobile phone if it doesn’t look fantastic?